Futures traders bet on the future value of the underlying asset and make profits by selling the contract if the value of the contract rises in the predefined time. 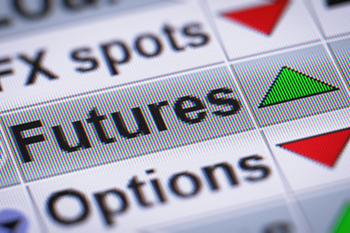 A futures contract is an agreement between a buyer and a seller to sell the underlying asset. This can be an index, stock, commodity, currency, etc. at a predetermined price at a particular time. Futures traders bet on the future value of the underlying asset and make profits by selling the contract if the value of the contract rises in the predefined period. As the whole idea of futures is to predict the future value of the underlying asset, it is relatively risky because the derivatives market is volatile and unpredictable. Still, if you have a basic understanding of the market and you avoid committing the following mistakes that cause most futures traders to fail, you can become a successful futures trader. There is no denying that diversification of the portfolio is one the best things an investor can do to spread the risk over many different investments. However, too many stocks in an active trading portfolio are also something you should avoid while trading in futures. The problem occurs when you have to continuously monitor every investment in your portfolio, which becomes an impossible task as you have too many investments to look after. It is also a proven fact that if you own too many stocks, you have lesser knowledge about every investment and a little knowledge means high potential for losses. Ultimately, if you own too many stocks in your portfolio, it becomes difficult to manage each investment efficiently, and the performance of your portfolio is affected negatively. You should always diversify your portfolio up to a certain level, which you think you can manage efficiently and can spend the amount of time required to monitor them continuously. Timing the market has been the topic of debate among different investors for a number of years. Some say that it is impossible to predict the direction of the market and others say that the market trend can be perfectly predicted. Whatever may be the case, market prediction should be taken as a tool to become vigilant in the market and nothing more. Investors who always base their transactions on predictions end up failing while trading in the futures segment. It is true that market predictions can prove to be useful, but you should never take a decision solely based on such news or tips as there is no way someone can correctly time the market. Bullish: When the overall market is going upward, and the prices are high. Bearish: When the market is going downward, and the prices are falling. Neutral: When the market is neutral, and the prices are neither falling nor rising. Some investors believe that market always moves in a direction. This means that if the share price is declining, they tend to wait for an extended period as they think that the market will rise and will change its direction. While it is true that the market can change direction after a period, it is not necessarily true that the market will change direction after a given time. Retaining your stock even when the market is continuously going down thinking that the market will change its direction and will go upward will always result in aloss. You should cut your losses as soon as you think the prices are not rising even after weeks of waiting. If the market is bearish, investors tend to wait for an extended period just looking at the stock chart and hoping for a revival. This waiting becomes the reason for exhaustion and frustration and leads investors to making stupid decisions. A bear market brings nothing more than false hope and fake promises. It is never too late to take a break away from the market. It will allow you to sort things out and you can come back with more confidence and energy. Sitting in front of a computer screen and waiting for the trend to change will achieve nothing positive. Instead, take a break when you know you can’t do anything about the direction of the market and come back when more focused and start again.